My thoughts on Betsey Johnson’s Bankruptcy.. Millions of women all over the world are devastated and I am now joining them in their sorrow. Betsey Johnson is closing all of her stores and only designing for her more affordable line Betseyville for department stores which I fear will end up with the same fate as Heatherette. Every time a fabulous designer teams up with department stores like Macy’s, Bloomingdales, and etc they go down hill. The mass market waters down brands till they aren’t special anymore. Betsey Johnson’s clothing is not meant for department stores, they are unique pieces that belong in boutiques. I have been with this company for a little over 5 years now and have seen Betsey conquer many battles, her biggest battle being breast cancer. I thought if she could get through cancer and her other financial troubles she had in the past…she could most certainly conquer this….I guess I was wrong. It is no surprise that I am taken back by the severity of this issue as she is one of my favorite designers and people. Betsey Johnson has always been so good to me and just an all around out-going, wonderful, and sweet person who treated us all as if we worked with her and not for her and I cannot stress enough, how sad I am…This company has changed my life. I have paid homage to Betsey for as long as I can remember as she is responsible for 50% of my wardrobe and I am sure she has added to the success of my blog as I love to sport her pieces almost every day. Her clothing catered to all types of women, mostly women who were not afraid to make fashion fun, women who were not afraid to wear cocktail dresses to the corner store, and women who were not afraid to pair patterns, lace, tulle, and studs in their outfits…Women like me who have no limitations when it comes to fashion. Betsey Johnson didn’t create “safe” clothing..She didn’t follow trends or care what was in or out of fashion. She designed from her heart. She created fun and crazy clothes for women who simply didn’t care for all of that mumbo jumbo. How admirable and inspiring for an aspiring designer like myself..I mean who else could you possibly think of when you see pink glitter, leopard, and floral prints? 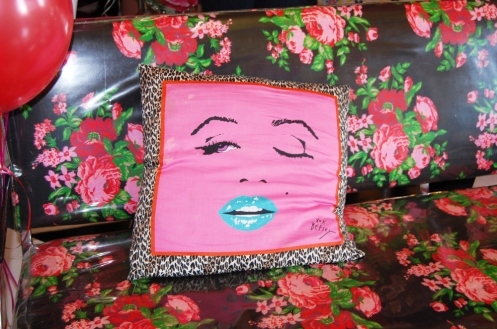 Everything a woman could possibly love, Betsey embraced and exuded in her designs. I can only hope to continue the same legacy when I become a designer someday. To create clothing that celebrates everything a woman loves and is. Betsey Johnson wasn’t the only person I connected to in the company. I met loads of wonderful people, some of which I am still friends with today. So many of them are losing their jobs, a job that is fun, where you could be yourself, and dress fancy with no occasion at all and be embraced for it. Even my favorite corporate girls are leaving the company :/. Speaking of corporate..I have to really thank Daisy Bradshaw who kept me connected to Betsey and the company all of these years. She was like my fairy-Betsey-godmother who made sure I was always around for fashion shows, events, and sample sales. Many of my collaborations with the company is thanks to her (and the corporate girls like Petra, Kate, Jen, and etc <3). She has been with the company and Betsey’s right hand gal from the very beginning and it looks like she is riding it out till the very end. I admire women like that, the ride-or-dies. Still, I am also sad I won’t see much of her anymore either.. I am deeply saddened by this news…There aren’t many designers that really fit my aesthetic like Betsey Johnson. I fear that this economy is swallowing up the last bit of great shops there is out there and replacing them with chains like Best Buy’s, Star Bucks, and H&M’s. Even Irregular Choice in Soho is closing down. I used to get dresses at Betsey and run over there to get matching shoes. What is soho going to be a few years from now if many of my favorite eccentric shops are closing down? Soho will be more of a Wasteland for me when Betsey is gone. I will have to resort to Ebay, shops out-of-state, and Buffalo Exchange for my Betsey pieces now which will probably go up in price. I can only pray that Betsey is just going through a hiatus from the fashion world now. To be honest I am sure this is a well need break for her as she has been non-stop for over 25 years. Betsey Johnson also has a reality show coming soon and I can’t wait to watch it, in hopes that she will make a grand comeback to the fashion world. Knowing what she has been through and what she has already conquered, I just can’t see her giving up that easily. I guess we can all stay tuned. NYFW: Betsey Johnson Fall 2012 Collection! Betsey Johnson Taco Tuesday & Patricia Field SATC Disco Soiree! Lets paint the city RED! Fashion Week-Betsey Johnson Spring/Summer 2010. We all expect a speedy recovery and a comeback. ← V.V x Lone star Pinups pt.4! When Derek told me my heart sank and I heard the cracks in my heart chisel themselves away. This is such HEARTBREAKING news. I hope something can happen. I never really got to own much from her other than a couple of jelwery pieces. She is HANDS DOWN MY FAVORITE DESIGNER! and I am so sad I don’t have a closet full of her clothing. Im never going to understand or get over this. I will be praying for her to get back on! We loooove you BETESY!!! My heart broke when I heard the news a couple of weeks ago. 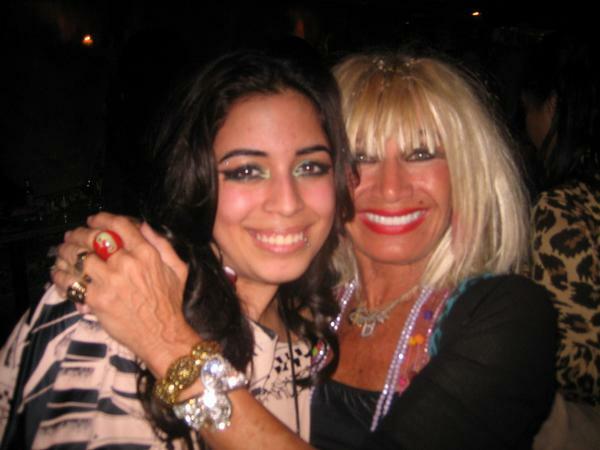 Betsey has been my favorite designer since I was 13 years old and just getting into fashion (I am now almost 19). It was my dream to be able to work for her after finishing college and I am devastated this dream may never come a reality. My greatest regret is not being able to own more of her pieces because I usually couldn’t afford them but the pieces I do have I treasure. I’m rooting for her to one day get her line back and have her own shops again. I’ve always wanted to work for Betsey Johnson. She’s my absolute favorite designer and it makes me very sad that she has to shut down her stores. I’m really hoping this isn’t going to be a permanent change and that she gets back on her feet and re-opens her stores up instead of just selling her items at department stores. You know how much I enjoyed working with BJ and till this day still participated working sample sales, etc. I made great friend which I treasue till this day. There will never be another BJ. I feel for all who will lose their jobs. I agree with your blog about her fashion, unique, fun, loud, bright, edgy, etc I can go on. BJ will always be part of my DNA in Fashion. Walking in to a Betsey Johnson store is ALWAYS a highlight and wonderful experience. No one compares. She is the best. She will reign again!! Thank you for your comment. So many people don’t know understand or want to understand the back story. I too have been involved with this great company for 15 years and have seen the comings and goings of various people. Daisy is one if ths most amazing people ever to work in this industry. Betsey is THE most iconic person to ever be. I too will continue to look forward to wonderful comeback of this amazing fashion leader. If its not meant to be, well it was unbelievable ride!!!! I just remember going to her partner Chantal’s house. Here were all these girls in that company who were working and making the money, and their husbands were helping raise the kids. It was really modern then. She was a great prototype of the cool, rock and roll, super hip women in New York in the 70s and 80s making myths, legends and money. Of course being in fashion with Betsey, she is somebody who is the most amazing front person for her brand, she’s always been quirky, kooky and done whatever she wanted!” adds Cutrone. I’m still sad about this. Betsey Johnson makes some of the highest quality, cutest swimwear around. She’s my favorite designer. I hope things end up working out for her somehow. Unfortunately, as more women choose North Face Jackets, Yoga pants and sneakers as their daily fashion attire, I am sad to think that this is just the beginning of the fabulous artistic fashion designers that will lose out.